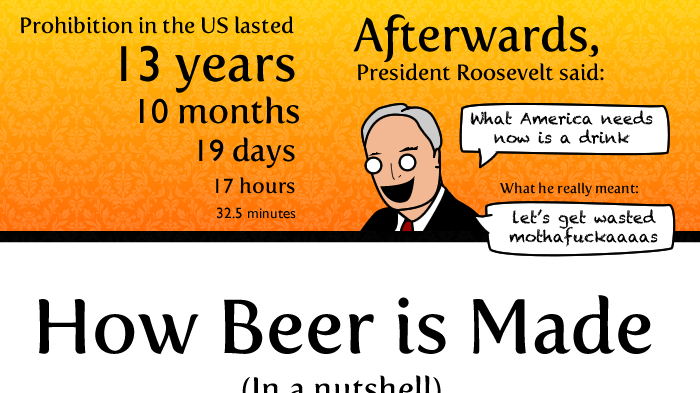 Moderate drinking is good for you, and beer is good for moderate drinking. Everyone knows that if you drink too much, it’s not good for you. Let’s not pull punches: If you’re a drunk, you run into things, you drive into things, you get esophageal cancer, you get cirrhosis and other nasty conditions. But more and more medical research indicates that if you don’t drink at all, that’s not good for you either. According to numerous independent studies, moderate drinkers live longer and better than drunks or teetotalers. Beer is perfect for moderate drinking because of its lower alcohol content and larger volume compared with wine or spirits. And as that old radical Thomas Jefferson said, “Beer, if drank with moderation, softens the temper, cheers the spirit, and promotes health.” And he didn’t need a scientific study to tell him that. 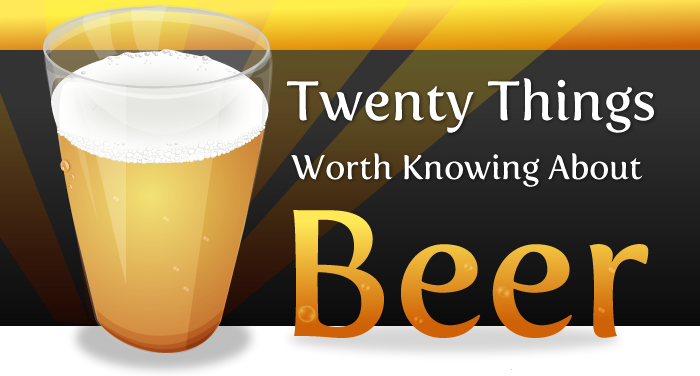 Some know-it-alls will tell you that beer is loaded with additives and preservatives. The truth is that beer is as all-natural as orange juice or milk (maybe even more so – some of those milk & OJ labels will surprise you). Beer doesn’t need preservatives because it has alcohol and hops, both of which are natural preservatives. 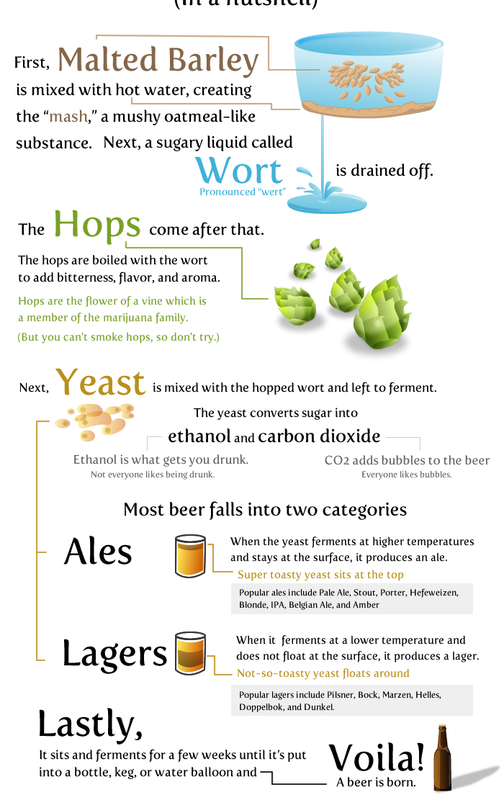 Beer is only “processed” in the sense that bread is: It is cooked and fermented, then filtered and packaged. The same can be said for Heineken. For a completely natural beverage, beer offers serious low-calorie options. Twelve ounces of Guinness has the same number of calories as 12 ounces of skim milk: about 125. That’s less than orange juice (150 calories), which is about the same as your standard, “full-calorie” beer. If beer were your only source of nutrition, you’d have to drink one every waking hour just to reach your recommended daily allowance of calories (2,000 to 2,500). And nobody’s recommending you drink that many. The only natural drinks with fewer calories than beer are plain tea, black coffee and water. 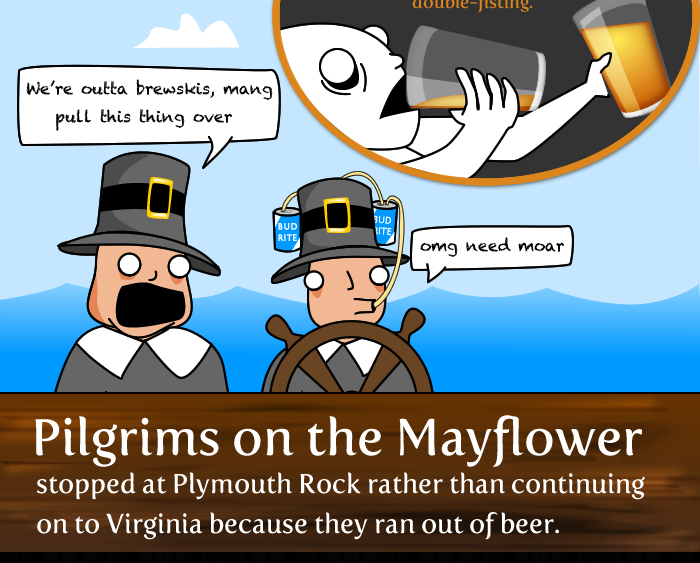 Surely, beer is loaded with those fattening carbohydrates, right? Wrong again. The average beer has about 12 grams of carbs per 12-ounce serving. The U.S. Recommended Daily Allowance is 300 grams of carbohydrates in a standard 2,000-calorie diet. In other words, you would need to drink an entire 24-pack case of beer – and then reach into a second case – simply to reach the government’s recommended daily allotment of carbohydrates. You’re better off munching an apple or drinking some soda pop if you want to carbo-load. Each has about 35 to 40 grams of carbs – three times the number found in a beer. 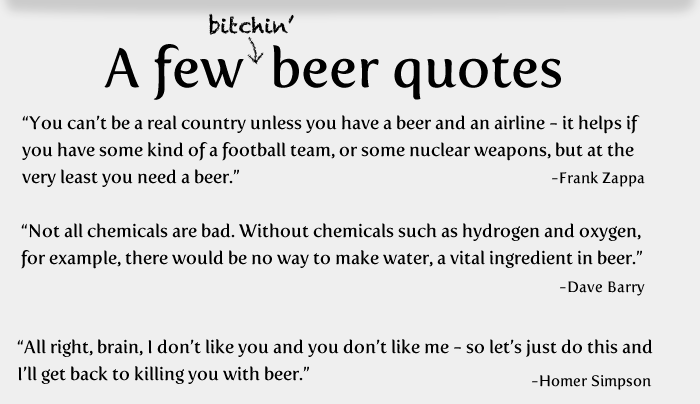 Also, beer has no fat or cholesterol. If you’re someplace where you are advised not to drink the water, the local beer is always a safer bet. It’s even safer than the local bottled water. 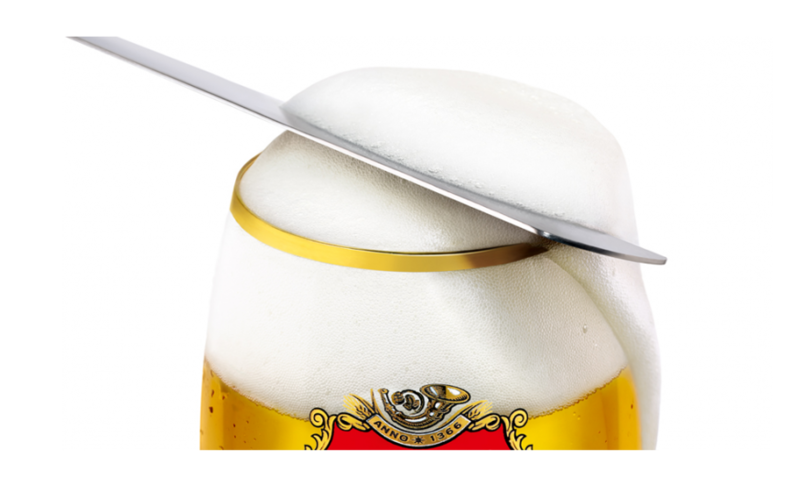 Beer is boiled in the brewing process and is kept clean afterwards right through the bottle being capped and sealed, because if it isn’t, it goes bad in obvious ways that make it impossible to sell. 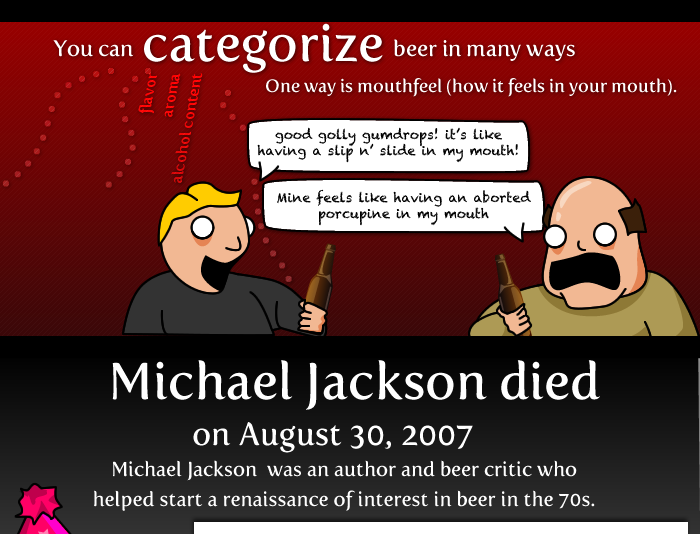 Even if it does go bad, though, there are no life-threatening bacteria bacteria (pathogens) that can live in beer. 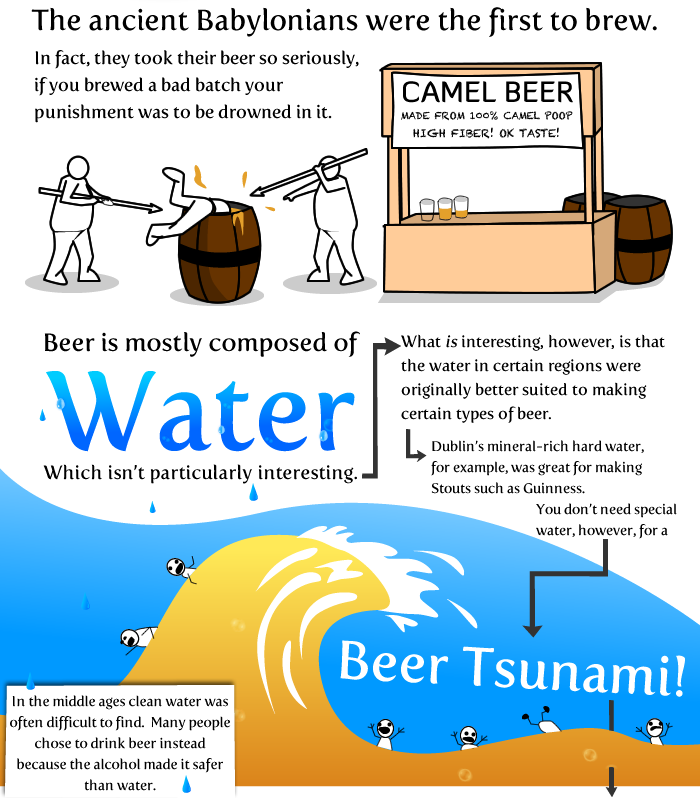 So drink up – even bad beer is safer than water. If you want to get a bit more cutting-edge than vitamins, beer has other goodies for you. You’ve heard of the French Paradox, how the French eat their beautiful high-fat diet and drink their beautiful high-booze diet and smoke their nasty goat-hair cigarettes, but have rates of heart disease that are about one-third that of the rest of the world? It’s been credited to red wine and the antioxidants it contains. Hey, guess what else has lots of antioxidants, as many as red wine? Dark beer! According to the American Heart Association, “there is no clear evidence that wine is more beneficial than other forms of alcoholic drink.” One study profiled in the British Medical Journal in 1999 said that the moderate consumption of three drinks a day could reduce the risk of coronary heart disease by 24.7 per cent. 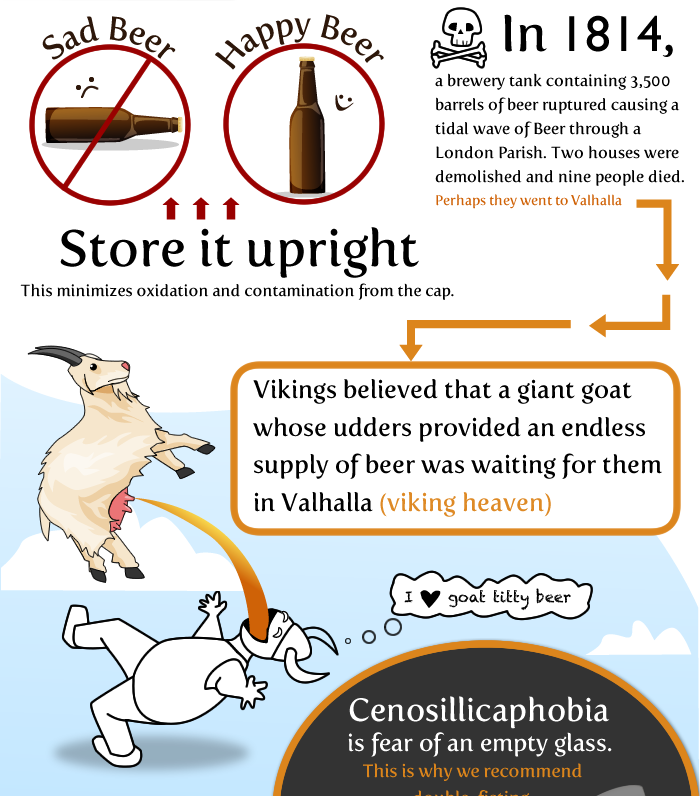 A study done by researchers at the University College of London and the Institut Klinicke a Experimentalni Mediciny in Prague in 2003 showed no connection between the amount of beer people drank and the size of their overhang. “There is a common notion that beer drinkers are, on average, more ‘obese’ than either non-drinkers or drinkers of wine or spirits,” the researchers said. But they found that “the association between beer and obesity, if it exists, is probably weak.” Most studies have found that people who drink beer regularly (and moderately) not only don’t develop beer bellies – they weigh less than non-drinkers. Beer can boost your metabolism, keep your body from absorbing fat and otherwise make you a healthier, less disgusting slob. Just drink it in moderation, as part of an otherwise healthy diet. So that’s it. Drink beer. You’ll live longer and be happier. You won’t get fat. In fact, you may weigh less. You’ll boost your metabolism, improve your health and reduce your risk of clogged arteries, heart attack and cancer. What more could you want? Even if she’s the only one drinking it, you’re cooler isn’t complete without this Mexican export. Don’t forget the lime.